Wang Zi was born in China on October 1972. 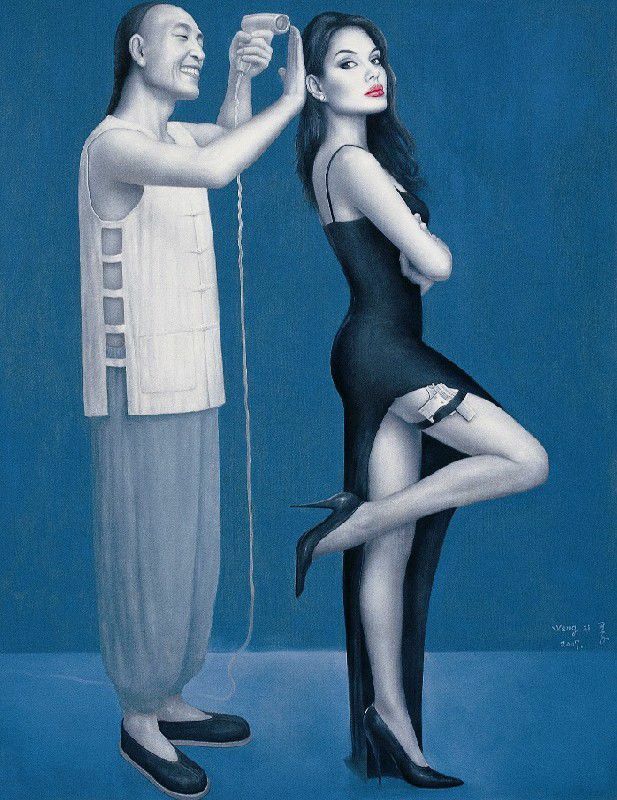 He graduated from An Yang Normal College, Fine Art Department in 1994 and in 1997 furthered his studies at the Center Academic Fine Arts. 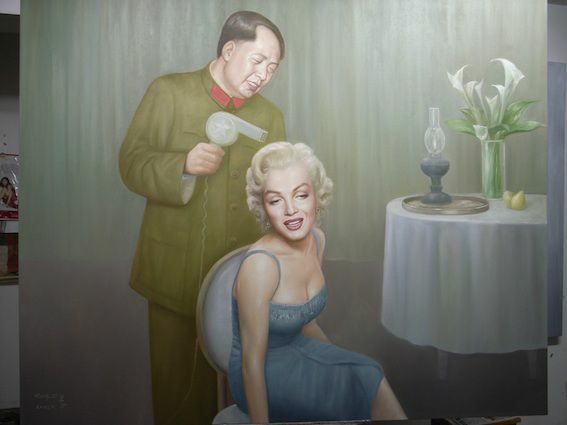 Wang Zi's works are characterized by images that have been immortalized by popular culture. 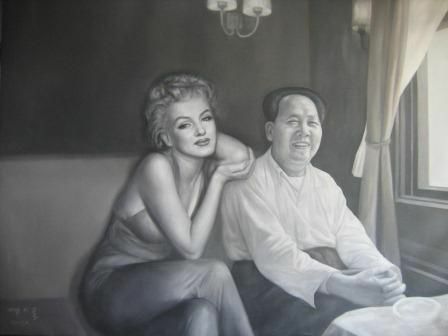 In his series of works with Mao Zedong, the leader of the Cultural Revolution, and American actress Marilyn Monroe, Wang Zi brings together two of the most iconic images of the twentieth century on his canvas. 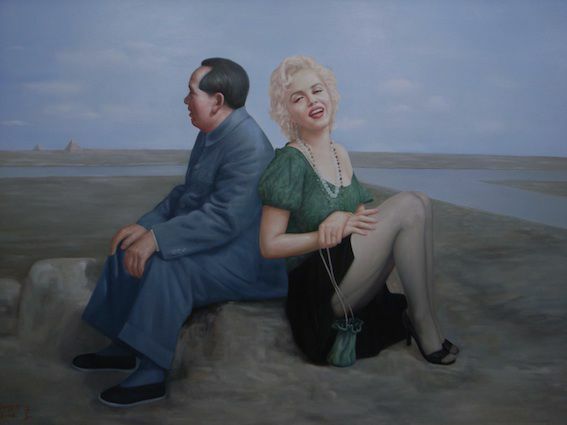 The interest the series generates is not only due to the impressionistic capturing of Mao and Marilyn in distinctive scenes as we remember them in the past, such as Mao in his robe after swimming or Marilyn in her famous pose from the 'Seven Year Itch', but also because these two historical characters are antipodean to each other. The choice of juxtaposing them has great ingenuity behind it precisely because they, or what they represent is so diametrically opposite. Capitalism vs Communism, West vs East, Liberal vs Conservative, Sensual vs Virtuous, the list goes on. The knowledge of opposing history and thus what they represent to the viewer serves as a backdrop to understand Wang Zi's series better. 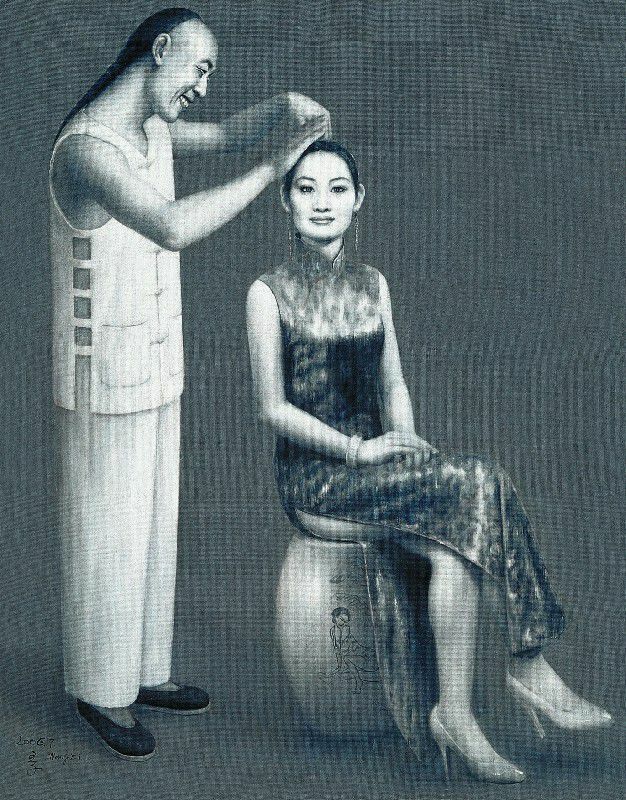 Almost comical in his juxtaposition, Wang Zi embodies satire and irony in his cleverly constructed works. The artist finds especial delight in the art of realistic painting and the ability to integrate fantastical situations as actual happenings. He possesses the technique of being able to turn imagination into a sombre historical event. 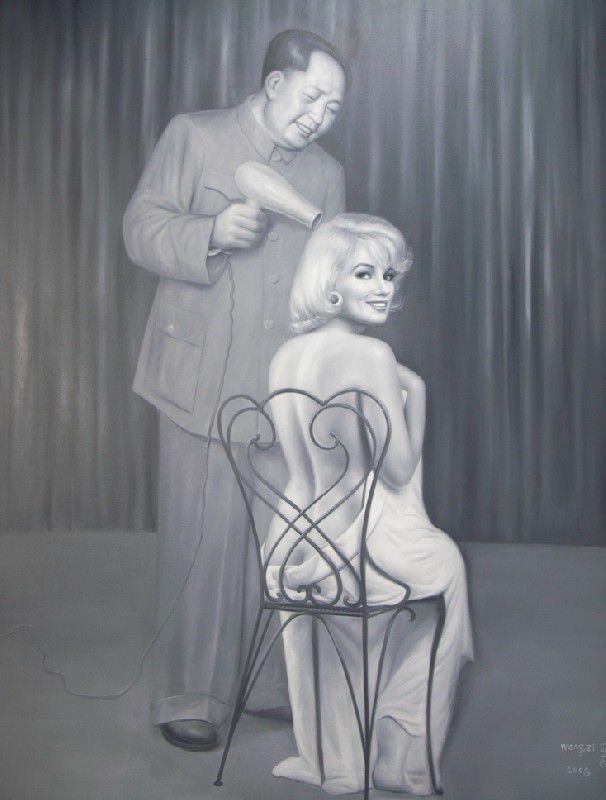 Intrigued by the personalities of iconic figures behind the rose-tinted view of film and pop culture images, Wang Zi sometimes includes himself as a subject, caught in mundane everyday tasks with a popular celebrity. Through these almost comical situations, he wishes to display the icons on screens as the human beings they are - a disillusionment that struck him on the passing of Chairman Mao. He noticed the regression from a Demi-God of Political China to being simply a human being, albeit a powerful one, who bled and breathed the same as any other. Using shades of gray and washed-out colours, the artist underplays the comic nature of what the image itself depicts and prompts the viewer to view the scene as if it were a historical truth, exploring the contradictions the artist himself was playing on. With a myriad of meanings to be taken from them, the images far outreach the simplicity of portraits or homage, creating unforgettable and distinct memories of icons that remain immortal.